B. Thomas (Arlington, Texas, United States) on 22 December 2017 in Lifestyle & Culture and Portfolio. Une belle photo de ton sapin ! Great colours also reflected in the glass ball. Oui, belle et lumineuse image de fêtes ! Beautiful colors and light!! Merry Christmas! Their faces in the previous photos predicted something similar. Only one ornament (at the moment) is not much. A beautifu ornament and tree. Christmas is almost here! Nice one. 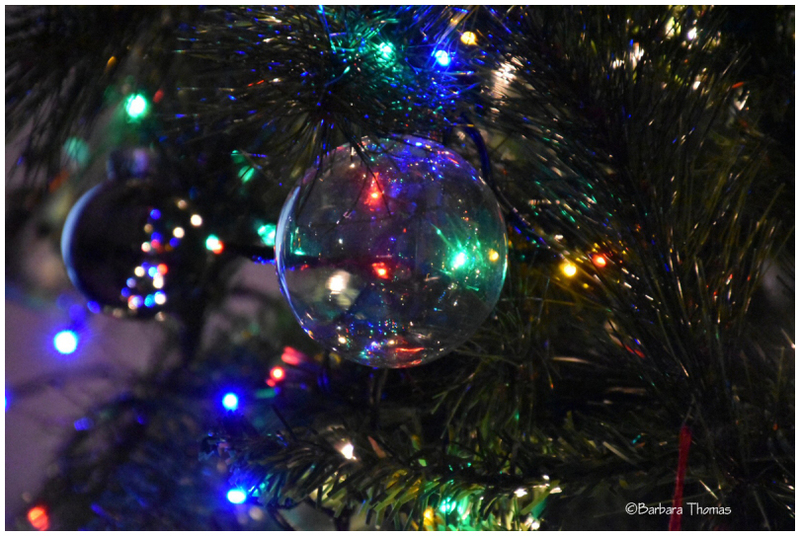 A beautiful shot of tree, lights, and ornaments. Leevi and me believe that Rocky and Nimon loves that tree. It is beautifuöl and there is balls.